Ivan Glasenberg lost half a billion dollars in one trading session last month. 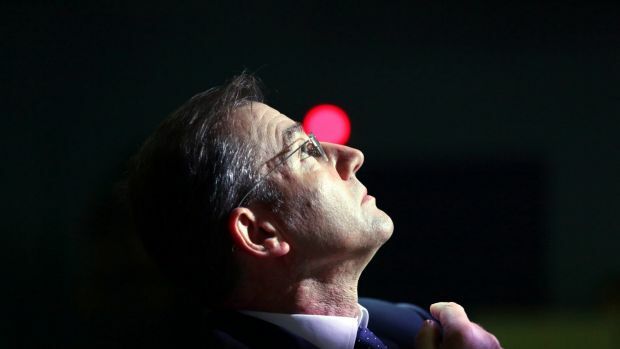 It was the day Glencore shares were hammered 30 per cent in the wake of an analyst warning about the group’s enormous debts. Glasenberg, chief executive of the Swiss commodities giant, moved swiftly to assure the market the group’s leverage was under control and Glencore would ride out the ructions in global commodities markets. Just how leveraged is Glencore in Australia though? It matters as this is our third largest miner: it employs thousands of people and its prospective mine rehabilitation costs run into the billions. 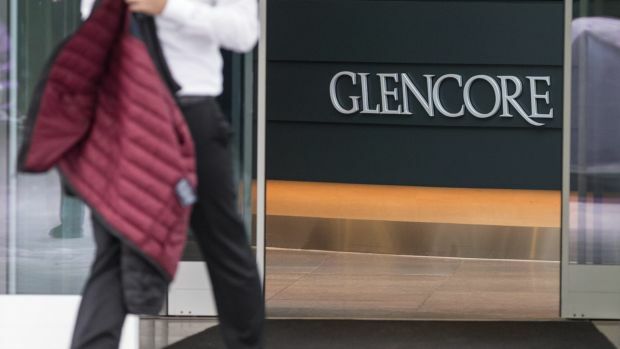 Part of the reason for the debt shock which rattled world bourses last month was that Glencore had been spinning its net debt burden at $US30.5 billion. Goldman Sachs, Deutsche Bank and their research peers had all swallowed the company line though the real net debt was $US49.9 billion. Glencore had arrived at its rosier figure thanks to what seems to be an exotic new metric: “RMIs” (Readily Marketable Inventories). The debt was “ex-RMIs”, and there were $US19.5 billion of these RMIs on its balance sheet – commodities which could be sold, that is – so it merely subtracted these from its actual debt of almost $US50 billion. Its Australian debt meanwhile appears to be north of $US21 billion, making it more leveraged as a ratio than even its parent. If commodity prices stay depressed and if the price of coal, as many believe, is in structural decline – rather than in a mere cyclical downturn – could Glencore even find itself in the invidious position of having to go cap in hand to the government begging for help to survive? That would be a majestic irony given its tax antics over the years, but don’t rule it out. Figuring out the company’s real financial position is, for a journalist, the sporting equivalent of getting to a World Cup final; and we confess to having only progressed thus far to the pool stages. Here’s the nub of it though. Near the head of the newly restructured, labyrinthine maze of corporate entities are the consolidated financial statements of Glencore Operations Australia Pty Ltd. This is not the head of the snake, however. Its parent is Glencore Queensland Ltd, whose parent in turn is Glencore Investment Holdings Australia Ltd. Then there is Glencore Investment Pty Ltd, then – what appears to be the head entity in Australia – wait for it … the exquisitely-named GHP 104 160 689 Pty Ltd. This enigmatic entity is in turn owned by a Glencore International Investments Ltd, domiciled in Bermuda. The really tricky thing about this tortuous structure is that the entity at the bottom – Glencore Operations, which still ranks higher than another hundred entities or so – produces the “consolidated accounts” for the group. Yet the head of the “tax consolidated” group is Glencore Investment; another three steps higher but still not at the top. So it is impossible to get a true picture of the group’s tax position as usual. But this is no longer a tax story, it is a survival story. And as the Australian Securities & Investments Commission (ASIC) doesn’t make Glencore file “general purpose” financial statements, but rather allows a company which controls $US35 billion in assets to be deemed a “small company”, meaning it can produce skimpy financial reports devoid of vital information about the likes of related party transactions with the mothership overseas, not to mention revenue figures. Not only has there been a grand risk-management failure by Glencore but also a stark failure by corporate regulators and the auditing profession. In producing “special purpose” accounts, the regulator is complaisant with the auditors’ view that the only stakeholders of Glencore are Glencore itself; not taxpayers, not local communities, not creditors, not those concerned with the environment, not the Tax Office. So skinny is Glencore’s capital that, despite its own precarious finances, the offshore parent has had to top up its Antipodean sibling. The Glencore Operations accounts show a profit of $US7 million on that $US35 billion in assets, presumably thanks to its profitable grains business. The notes however show an intra-company debt forgiveness of $US440 million. Relative to shareholders’ funds at the end of December of $US4 billion is the $US21.3 billion of financial leverage, and there was an equity injection from the overseas parent in June of $US5.7 billion on top of a $A2.1 billion equity injection in January. How long will the masterminds in Switzerland and London continue to send money south? The price of coal has halved but at $US55 a tonne is still well above its long term averages and, while Chinese demand for imported coal is under severe pressure, Indian total coal imports plunged 27 per cent (year-on-year) in the month of September. It’s no coincidence that Glencore’s local chief, Peter Freyberg, has been warning about the folly of proceeding with Adani’s massive thermal coal mine in the GalileeBasin. It’s sheer madness from the federal and Queensland governments who are still backing the project, even considering taxpayer support, though its bankers have done the bolt. Glencore’s value on Atlantic share markets is now $US25.4 billion, roughly half the size of its $US50 billion net debt. BHP and Rio Tinto by comparison have $US24.4 billion and $US13.7 billion respectively. Neither is so dependent on coal, nor on the imprimatur of ratings agencies for their smaller trading operations. While Glencore Operations shows a tax expense of $US221 million, this is a forward-looking estimate rather than actual tax paid, and it may be that the Tax Office is disallowing prior year deductions (the consolidated coal group prior to restructure paid just $A15 million in the three years to 2012 and the 2013 figures are hard to find). Glencore Investment, head of the tax consolidated group, paid $3.9 million last year. Leverage, however, is now the issue. Gearing for Glencore Operations at the end of 2014 was an unsustainable 84.4 per cent – simply breathtaking for a mining company. This is more akin to the gearing of a bank than a mining and trading outfit, especially one with such a key position in coal. It also exceeds the thin capitalisation rules on how much debt a company can hold. The notes to the accounts say all borrowings are unsecured, but then seem contradictory as there is an admission of a short-term inventory financing arrangement that is secured. Do the banks now control this? There was also a charge of $US145.5 million in interest against its accounting profit for 2014. The cash flow statement tells us that none of this was actually paid because the whole amount is added back to profit, including amounts due to third party banks. There is also a note which says the company will now include royalties with income tax where it believes the amount of royalties payable are based on taxable income rather than physical quantities produced or a percentage of revenue. Conflating two different types of obligations (especially in the absence of a tax note) has the potential to disguise arrangements designed to avoid income tax and royalty obligations. ASIC seems to be encouraging more opaqueness when the OECD is calling for more transparency. It is worth noting that Mineral royalties are payable on all minerals separated from the land, but the pricing of those volumes may be linked to a measure of revenue minus allowable deductions. This is not a tax. While the company makes this policy statement, it is impossible to determine the extent to which it has correctly or incorrectly conflated royalties with income tax in its financial statements. This is a story of corporate opacity and consequent risk to Australia. Glencore says it has simplified its structure and intends to do more to untangle its network of entities. Under the present accounting standards, Glencore should be providing general purpose accounts. Corporations are required by law to comply with accounting standards.